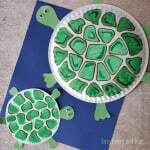 It’s been a while since we shared a paper plate craft, so it was about time for a new one. 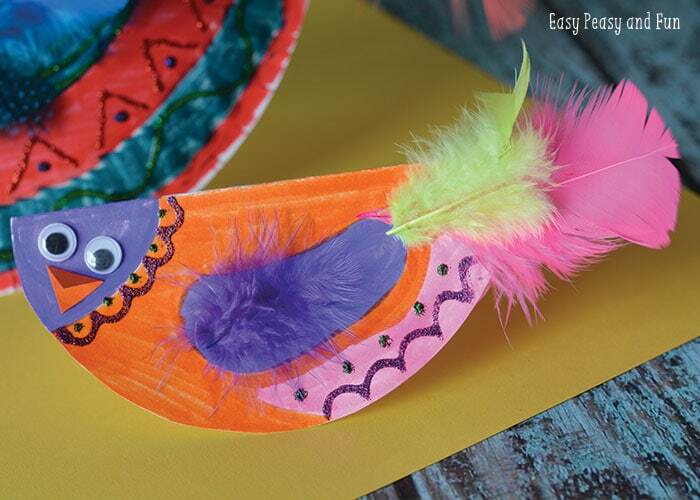 This paper plate bird craft is super simple to make and with all the shiny decorations it just looks fabulus. 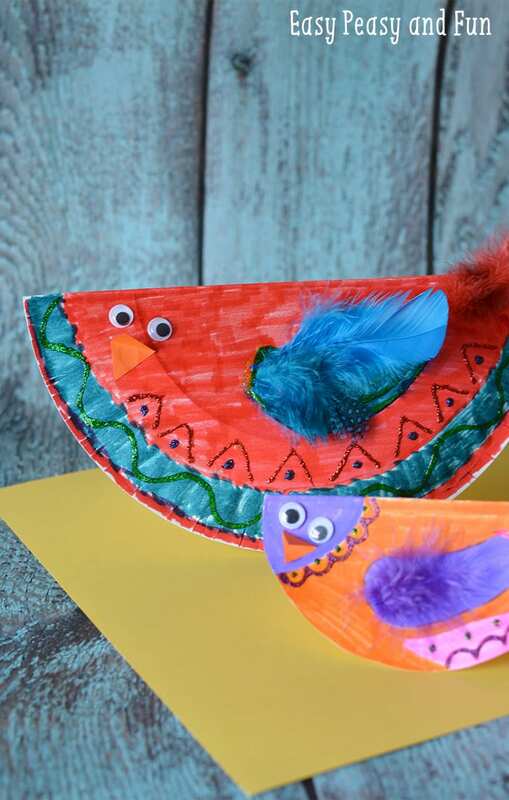 Ready to make sparkly bird crafts? 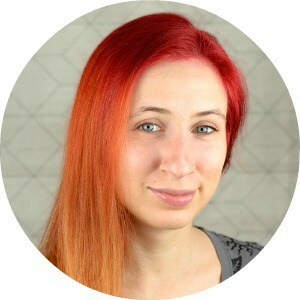 Let’s do it! 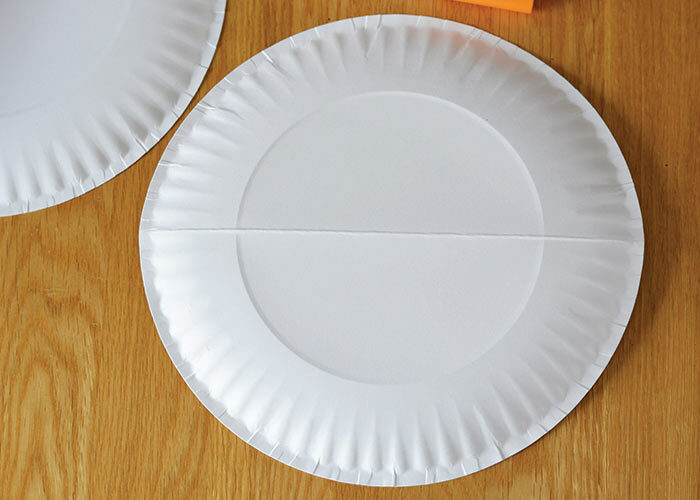 To make a large bird, fold a paper plate in half and crease it down the middle. 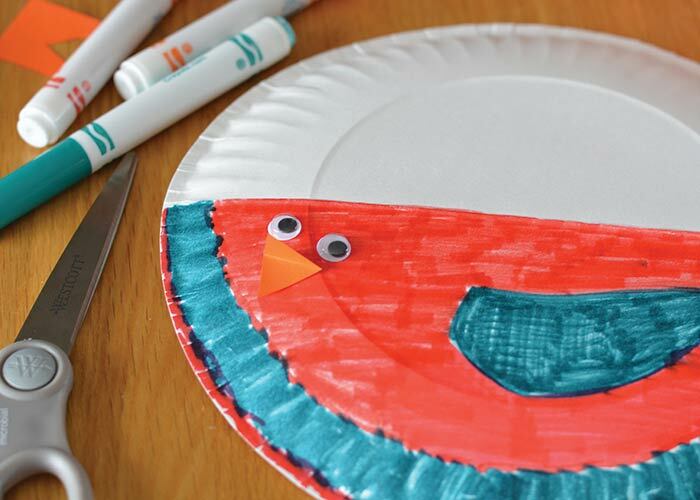 To make a small bird, cut the center out of a paper plate, discard the edge and fold the smaller circle in half. 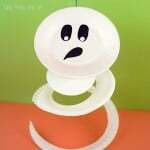 Decorate half of the plate with markers. 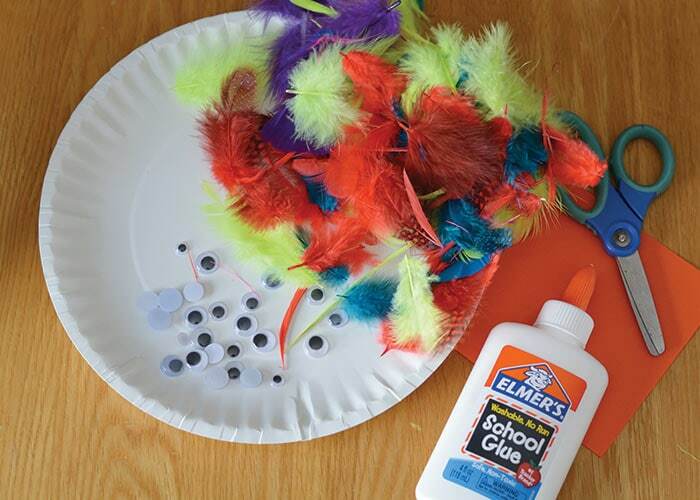 Add feathers on the wing and tail area with glue. Affix an eye. 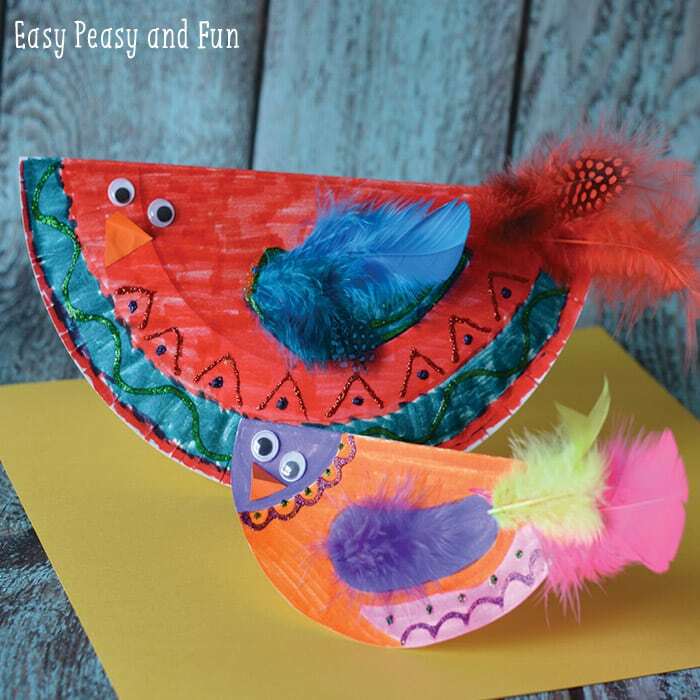 Cut out a small triangle beak with scissors and orange paper. Attach with glue. Use your glitter glue pens do decorate other parts of the bird. 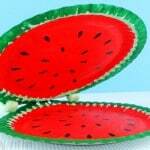 Let dry flat. 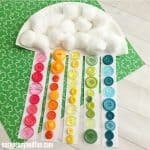 When completely dry, fold in half and enjoy your birds. 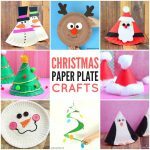 We love paper plate crafts and try our best for them to have a unique twist to them, just check this swirly paper plate fox craft and you’ll see what we mean. 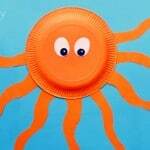 Also check this paper plate crocodile, it’s one of our all time favorites.